Boot hangs after [13.x] g_serial, for roughly 3 minutes. initial automation, subsequent reboots connection fails ifdown wlan0; ifup wlan0 required to reconnect wlan (as per nanoPi Air workaround for 3.x and dhd). bmp085 = BMP085 Barometric Pressure/Temperature/Altitude Sensor?!? #Power off, unplug SD card, power on. No WiFi hardware found, in dmesg, brcm* modules are loaded. poweroff results in reboot with prompt to press any key to abort boot (continues boot regardless of key presses). 03/05/17 rebuild = same as above. DietPi-Config | Swapfile: Added ability to select Auto size (1GB - total RAM = size). Auto is now the default. Mainly to prevent out of memory errors on recent influx of 256MB boards. DietPi-Obtain_Hw_Model | Optimized/reduced count of total HW_ARCH (from 21 to 10). 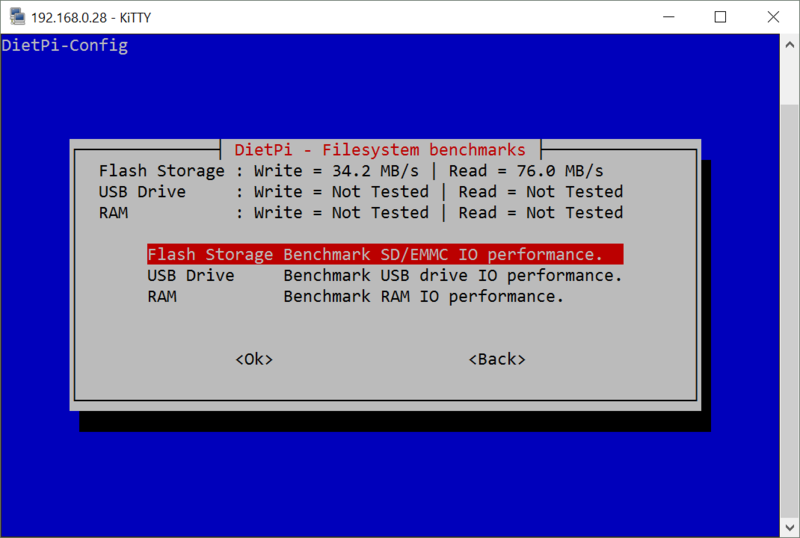 Will improve performance in DietPi-Software due to reduced array size. DietPi-Software | SDL2: Now available for installation in additional linux software (RPi only). General | ARMbian built images: Console boot verbosity increase. DietPi-Process_Tool | Emby server: Now supported. DietPi-Config | Tools > Filesystem benchmarks | Added ability to use a custom location, by selecting from a list of active mounts on system. This also includes CIFS/SAMBA mounts etc. DietPi-Config | Disabling CPU freq limits, will now re-apply the highest clock before-hand. No Wi-Fi for the H5 board? So we better buy H3 for DietPi then? Or it could be fixed in the near future? Thanks a lot!